If you haven’t been giving your gut the attention it deserves…you need to. And fast. Pay attention to how your body feels after a meal that is high in processed fat and sugar. Usually, you feel sluggish, bloated, and not exactly full of energy. There is a reason that your body responds this way. High-fat diets have been directly linked to decreased levels of healthy gut bacteria and a rise in unhealthy gut bacteria that contributes to numerous issues such as anxiety, depression, obesity, infertility, dementia, heart disease, and even cancer. It is well established by now that your gut microbiome (the community of bacteria and microorganisms in your gut) plays an essential part in balancing the rest of your body’s systems. It is critical to realize that it isn’t just the health of your gut that is at stake, the body is connected, and each imbalance disrupts the natural process. When your gut is happy and healthy, you will experience increased digestive health, a stronger immune system, and even improved mental health. The health of your gut bacteria is determined by many factors including genetics, physical activity, and pharmaceutical drug exposure. But perhaps most importantly and most directly, your gut is affected by your diet. Food is medicine, and it can also be the cause of much disruption in the body when the wrong food is consumed. Eating a diet that is primarily made up of processed fat will begin to affect your gut much quicker than you think. One study, published in the Gut medical journal looked at the effects of a high-fat diet on the gut microbiota of 217 healthy young adults over a 6-month period. “Higher-fat consumption…appeared to be associated with unfavourable changes in gut microbiota, faecal metabolomic profiles and plasma proinﬂammatory factors, which might confer adverse consequences for long-term health outcomes” the authors concluded. This raises many concerns for those who are eating high-fat diets such as Paleo or Keto. Do these findings suggest that fat is bad? By no means! In fact, healthy fats are an absolutely essential part of any balanced diet. The question is: how much fat is too much fat? And can high-fat diets prove detrimental when not combined with complex carbohydrates and fiber? The answer is more complex than you might think. It has been proven by many scientific studies that there is a direct correlation between the food you eat and the health of your gut. These same studies have also shown that long term dietary patterns of unhealthy and unbalanced eating can cause extensive damage and significant health issues down the line. A high-fat diet is often directly responsible for impacting the delicate culture of gut flora and causing the good and bad bacteria to become imbalanced. This state is known as dysbiosis and is responsible for many problems including low-grade systemic inflammation and various gastrointestinal diseases. Why does a high-fat diet affect gut health? 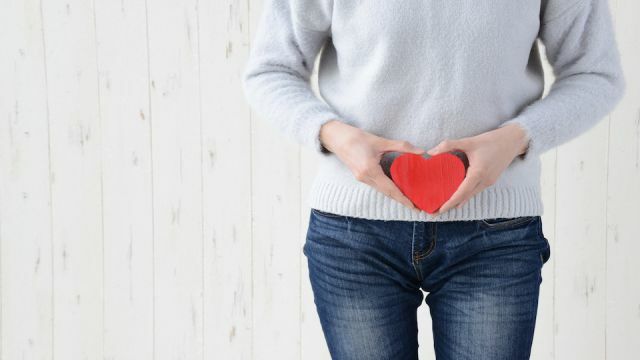 The reasons behind the impact of a high-fat diet on gut health are extremely multifaceted, but it may be primarily because of increased production of bile acids in the system. In the gut, bile acids are used to make antibiotics that are responsible for killing off other gut bacteria. This is a natural process and is essential for healthy gut function because these antibiotics help maintain the population of bacteria and prevent imbalance. High-fat diets produce alarming levels of these antibiotics, killing off too many of the healthy bacteria and interfering with the natural process. It is important to remember that it is not just the quantity of fat that affects gut health, but the quality as well. Your body needs fat from sources of omega-3 fatty acids, such as those in fish and nuts, and it is important that you choose quality, organic suppliers for these diet staples. On the other hand, omega-6 fatty acids found in foods like canola oil are primarily responsible for the adverse effects on the gut. Balance your intake of monounsaturated and saturated fats, making sure that you are staying away from processed foods and avoiding omega-6 fatty acids. It is a good rule of thumb to eat a moderate-fat diet where less than 35% of your daily calories are from fat. Along with reducing high levels of fat intake, you should also be sure to include more vegetables, fruits, healthy grains, and nuts into your diet. It is all about moderation and creating a well-balanced meal plan that is designed specifically for your body. Depending on your metabolism and health history, you may need to consume more protein or carbohydrates. It could be that your gut is starved for fiber or that you aren’t eating enough fat. Pay attention to your body and give it what it needs to function properly. And don’t forget to give your gut the care and attention it deserves! Hey Buddy!, I found this information for you: "Is Your High Fat Diet Killing Your Gut? (what you can do now to save it)". Here is the website link: https://www.thealternativedaily.com/high-fat-diet-killing-gut-what-can-do-now-save/. Thank you.